The paucity of professional help in India, whether Psychiatrists, Psychotherapists, Counselors or Holistic healing experts is glaring. Whereas India has a staggering 70 Million of its citizens suffering from various mental illnesses, there are just 7000 Psychiatrists to treat them! A majority of these happen to be stationed in Metro cities and larger towns. We have been inundated with queries for local support from far corners of our vast nation. Wherever possible, we have tried to provide info about locally available Resources. It is about time we unleash the power of the internet, which can be accessed on Mobile phones, to reach as many of those afflicted as possible Online. We are proud to announce that several Professionals who are well qualified to address the concerns of our readers, are now onboard our site. A warm welcome to them! Contact them via the tabs below each Profile so as to seek consultation via Skype, Phone or other suitable channel. Let’s bring help closer, Let’s Walk Together towards wellness. 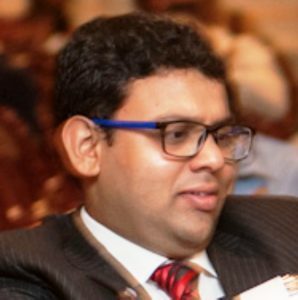 After his MBBS from (Maharashtra University Health Sciences) MUHS, Dr Milan did his MD in Psychiatry at Seth G S Medical College & KEM Hospital. He is a member of the Indian Psychiatric Society (IPS) & Bombay Psychiatric Society. He is trained in Rational Emotive Behaviour Therapy & CBT. He consults at Bombay Hospital & Medical Research Centre, Marine Lines and at Apollo Spectra Hospital, Tardeo, Mumbai. A Mental Health Activist, he has been a part of various community awareness programmes. Dr Milan believes that Complete Mental Health for all will soon be a reality. 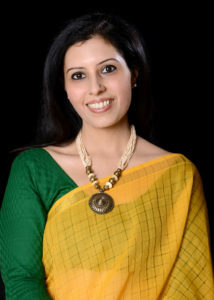 She holds a Masters in Clinical Psychology from SNDT University (Mumbai) and a Diploma in Counseling Psychology from Xavier Inst. of Counseling Psychology. H’vovi specializes in the field of Psychological Trauma and is trained in Eye Movement Desensitization & Reprocessing (EMDR) and Cognitive Behaviour Therapy (CBT). She is also a Clinical Hypnotherapist and a Qualified MBTI® Practitioner. She has trained at the “Beck Institute” for Cognitive-Behaviour Therapy, Philadelphia, USA and is an EMDR Facilitator in association with Trauma Recovery Network (earlier HAP- Humanitarian Assistance Programme), USA. She has recently received “International Affiliation” with the American Psychological Association (APA). Zeenat is the founder of INEX Consultants is a Master Practitioner of NLP (Neuro Linguistic Programming), an Advanced Life Coach and M.S. in Counselling & Psychotherapy. She is a veteran in the Training and Counselling industry with around twenty years of experience in Counselling, Coaching and Spiritual Healing Modalities. She has been in the lime light for her extraordinary counselling, interpersonal and relationship building skills. She thoroughly believes in the way our mind works and that the Human Mind has no boundaries. Thus, she helps people in understanding how to use their minds to achieve what they desire, for the kind of life they wish to live. 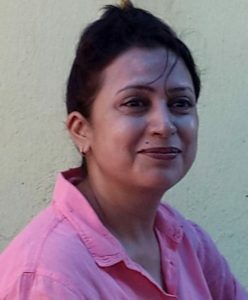 Her aim and objective in life is to help as many people as possible to live their lives to the fullest, through counselling, coaching, guiding, mentoring, training, psychotherapies and spiritual healing techniques. We would really appreciate if those who interact with caregivers through this site, post their feedback in the comments section on this Page. That would act as an invaluable guide for other users of this site too. Bipolar India has acted as a facilitator to its readers in good faith while providing the information about these Health Care Providers/Counselors. We however declare that there is no commercial nexus of any nature whatsoever between this community and the Professionals. We do not vouch for the benefit any individual would derive by availing of the services of these professionals, who would charge consultation Fees at their own discretion. We have no say in that regard. Readers are therefore advised to take decisions based on this declaration.